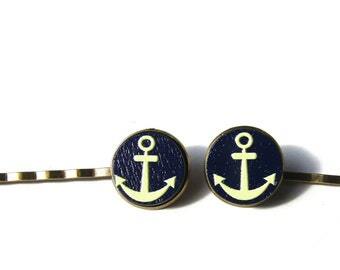 Navy blue and White bobby pins. 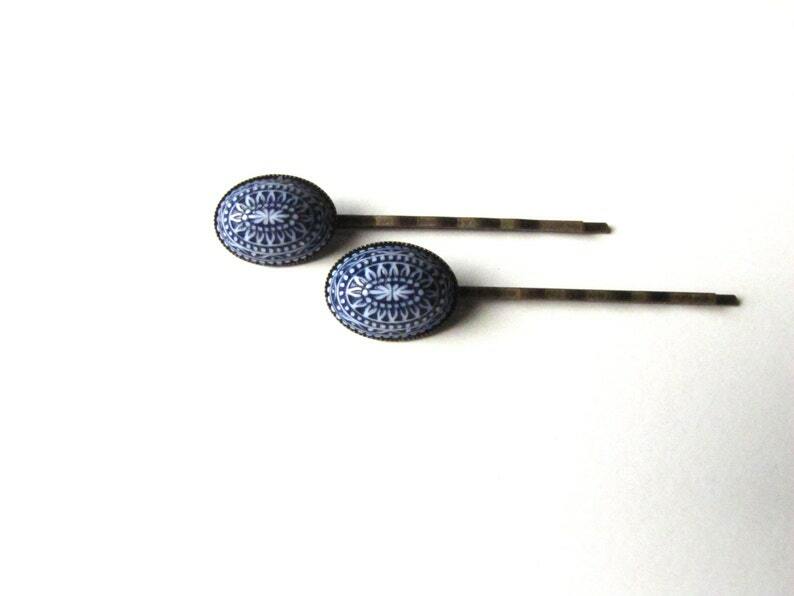 I've used oval vintage plastic domed cabochons from the 60s-70s, and attached them to antiqued bronze bezeled bobby pins. It is a blue geometric, almost nordic design on a white background. Not intended for children. Choking hazard. Sales tax will be added to all WA State orders. so beautiful; exactly as pictured. would definitely buy again.